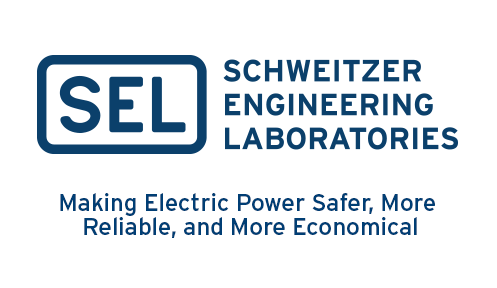 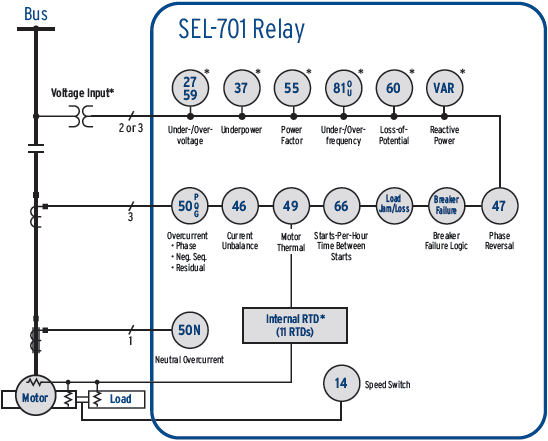 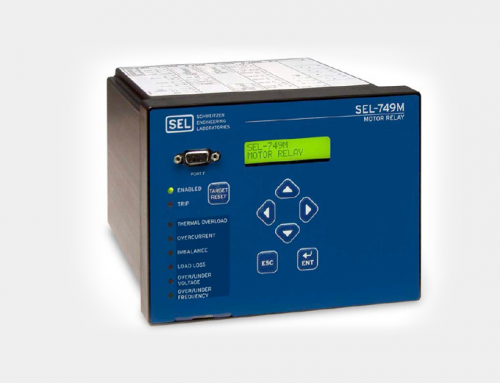 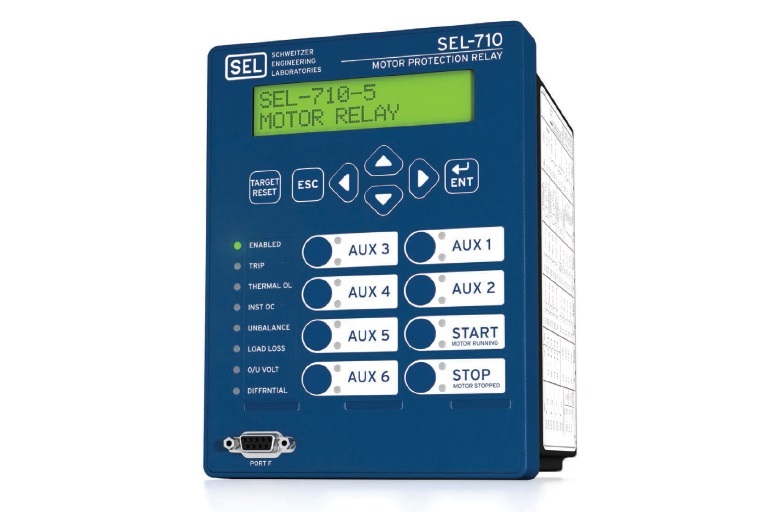 The SEL-701 Motor Protection Relay provides locked rotor, running overload, and negative-sequence current unbalance protection using a patented thermal model. 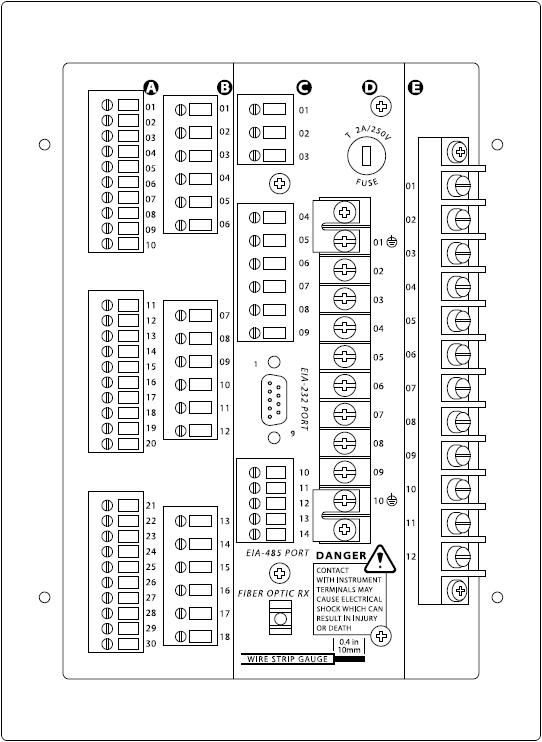 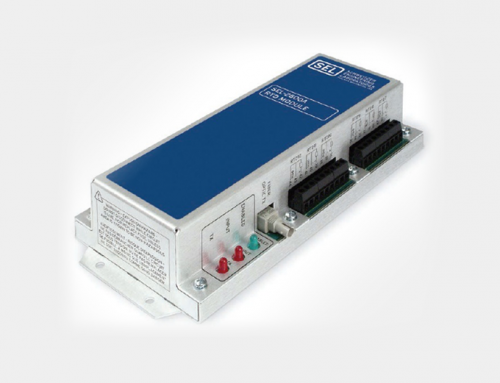 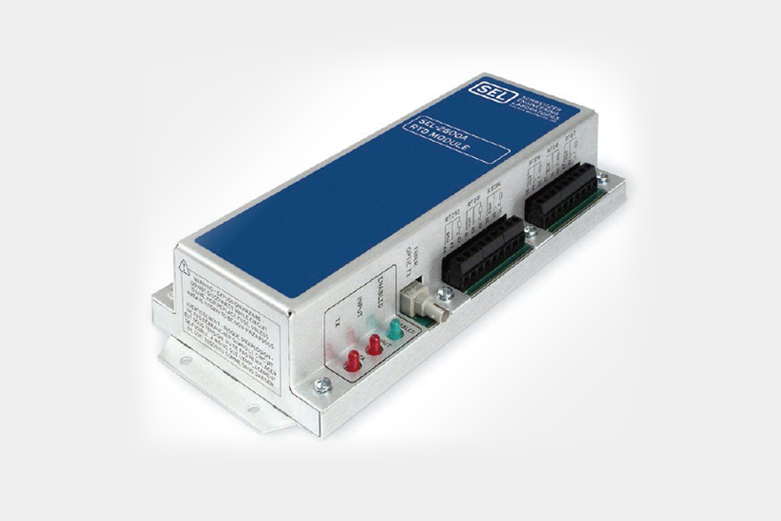 Add the voltage input option for metering and voltage-based protection elements. 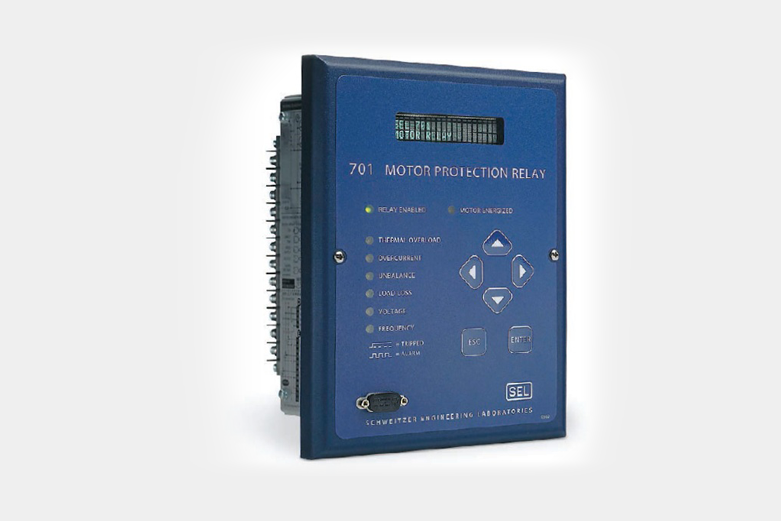 Set protection using motor nameplate data, choose from 45 standard curves, or create custom protection curves for advanced protection. 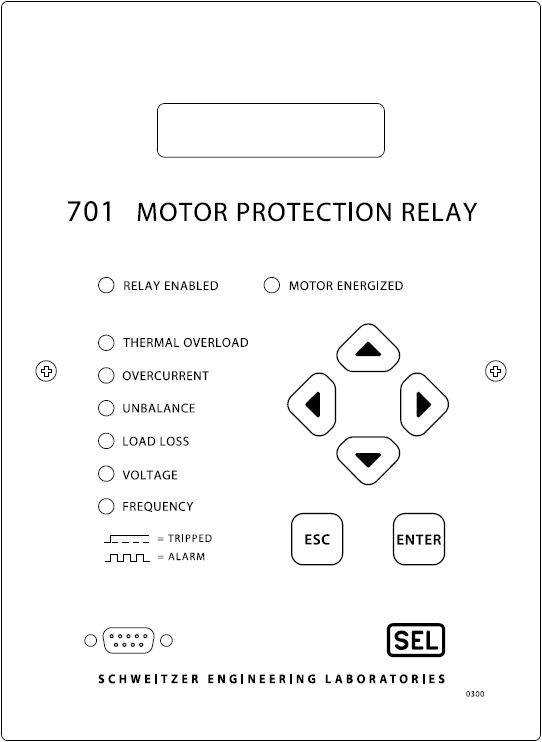 Motor start reports and motor start trend data support maintenance by indicating load problems early. 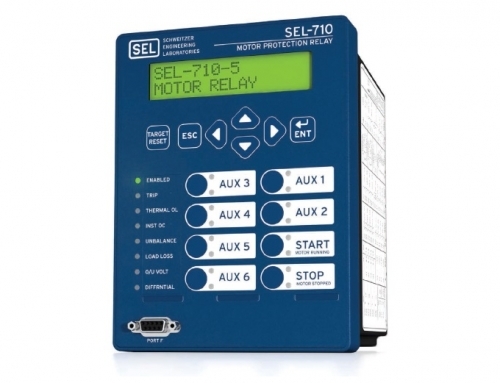 The load profiling function tracks motor loading and use, storing quantities every 15 minutes for up to 48 days. 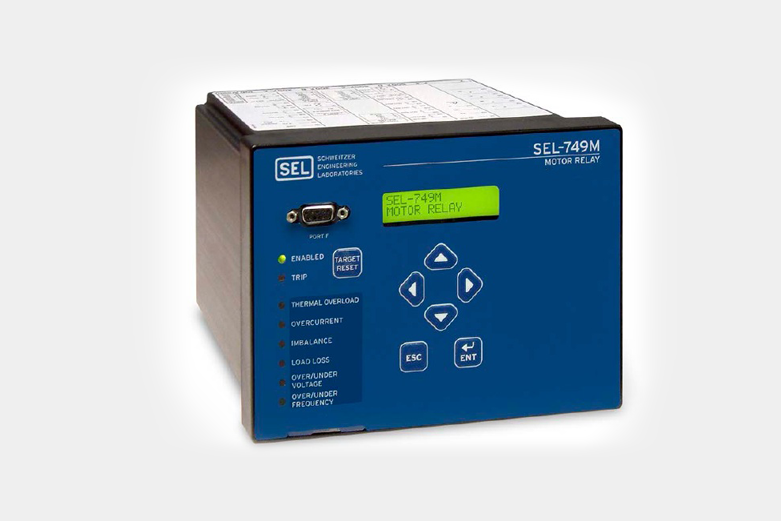 The SEL-701 is available with an optional internal resistance temperature detector (RTD) module that monitors up to 11 RTDs. 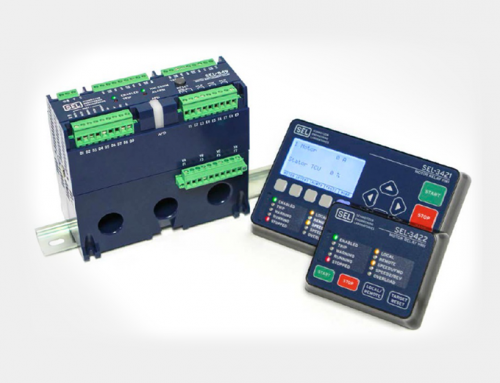 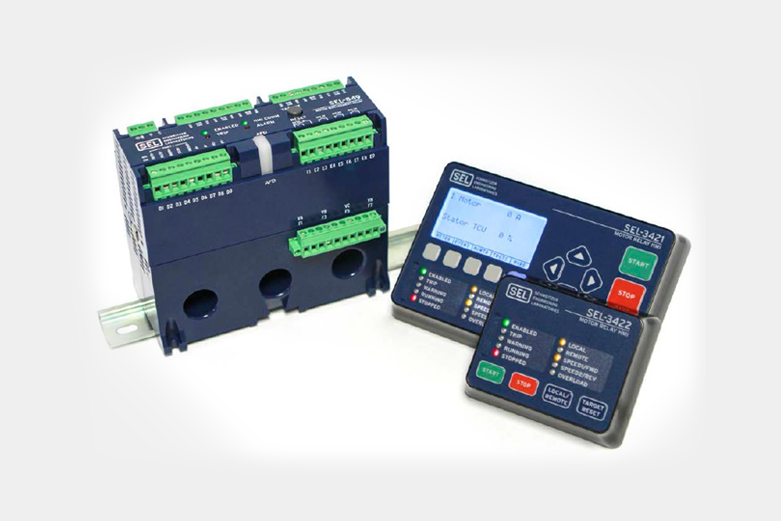 The relay offers thermal trips and alarms, thermal model biasing, RTD open or short alarms, and temperature measurement when equipped with RTD inputs.